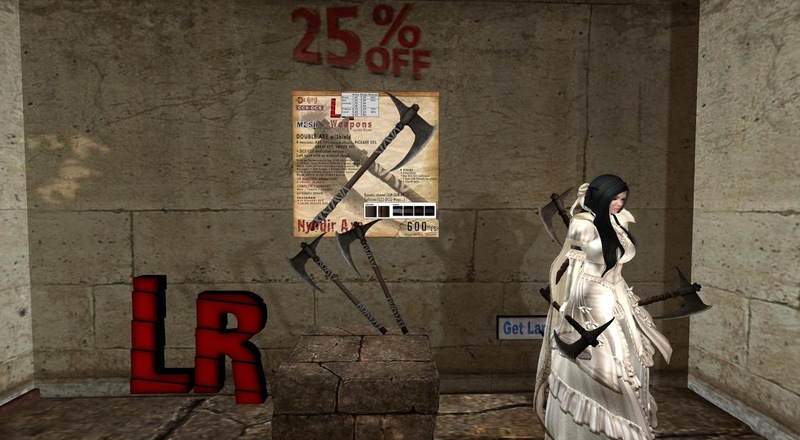 This month at the We Love Roleplay fair, LR had pushed out a pair of Axes for some serious chopping... of prices too! Whether you really plan to use this LR weapon, which works in most sims and meters, it does look good on your back and whats more, how about 2 of them. Perfect for a dwarf but also perfect even if you are Snow White Kitty. But your friends better mind the sharp edges when giving you a pet on your back. 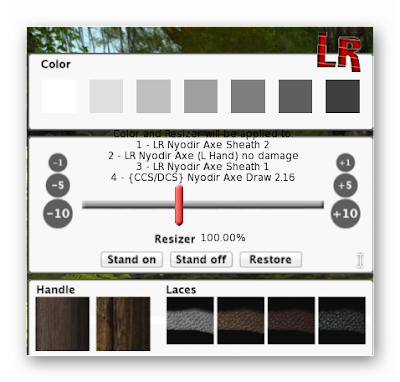 The Nyodir Axe comes with a LR HUD which give you options to color the axe's color, the wooden handle as well as the laces. Who says you can't mix fashion with weapons? 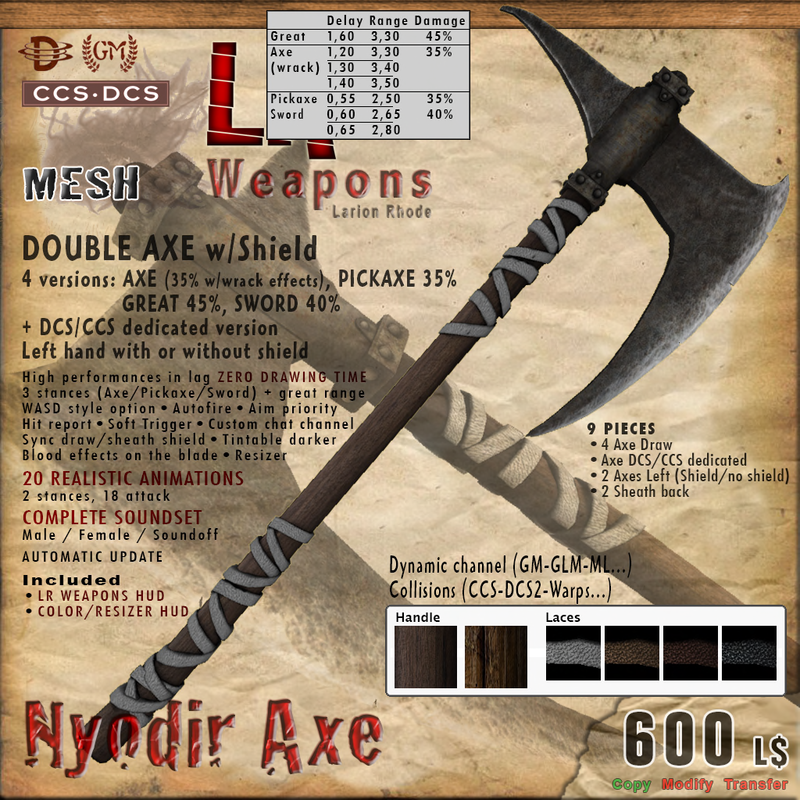 There is no better time to go around hacking something or someone up, especially when Halloween is just around the corner now.